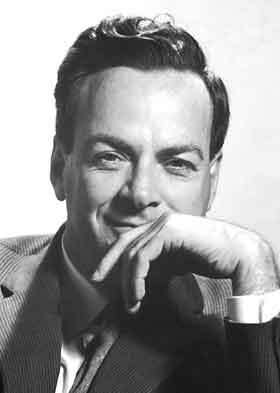 Physicist Richard Feynman was born in Queens New York on May 11, 1918. He went to Far Rockaway High School and then to MIT. He wasa key player in the development of the atomic bomb at Los Alamos, New Mexico, where he worked with some of the greatest physicists of the 20th century, including Bohr, Fermi and Oppenheimer. His work on quantum electrodynamics led to his sharing the Nobel Prize for physics in 1965. Renowned as a gifted teacher, Feyman's work influenced a generation of younger colleagues.